Jane's London: Bulldoze Battersea Power Station? The latest plans for the shell of what used to be this wonderful building is to convert it into shops and offices; er, haven't we been here been here before? A few times, even? And is it really going to happen this time? I have always hoped that BPS could be brought back to life in a good way, but after all the years of neglect I am starting to think that someone should have the balls to just knock the thing down now and start again from scratch – after all, the new developments that surround it, like the Howard and Warwick buildings, haven't exactly been built with any sympathy to it – it just looks silly surrounded by all those charmless glass boxes. When BPS was originally built as part of the National Grid system it was an architectural showcase full of polished metal and waxed wood, to show the rest of the world what Britain was capable of. Workers there had to wear felt over-shoes so as not to mark the expensive parquet flooring. But all that is long gone and what is left has been ruined thanks to the removal of the roof decades ago. It's all so sad. What are we really trying to hold onto anymore? And do we really need yet another shopping centre? The latest plans look to me to be extremely similar to the Kings Cross development. Everywhere is gonna end up looking the same; it's all so homogenous. 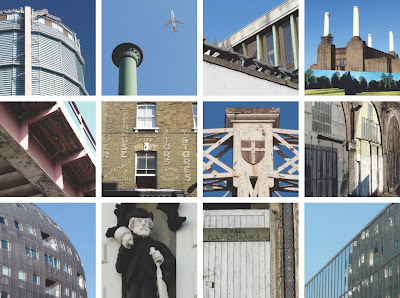 Below is a collection of architectural images mostly taken in the immediate Nine Elms vicinity. Also included are two shots featuring that hideous Albion Riverside Building, which is further upstream. I do take your point and my head tells me that you may well be right......but my sentimental old heart would be broken to see it go! Yes, we have been here before. And the same big question arises: will the funding be availble. The BPS saga shows the failure of finance development capitalism. Even if BPS was delisted and demolished, redeveloping the site will still be enormously costly. I have always thought its listing was balmy. To knock down BPS would surely just be the culmination and nadir of the lack of balls (if I can permit myself use of a word of questionable gender politics, men not having any monopoly on courage) shown over the past years regarding the site, doubtless as Creighton says, resulting from the hamstrung approach to funding in a building so close to the capital's heart. As for Albion Riverside, it at least has the shape of the organ in question. I personally find it also has the sentiment, while remaining appropriately discreet. Sorry for the very slow response but I have only just found your beautifully written comment. Thanks.